This page is devoted to those very special cars that don’t fit a category on our other Feature Car pages. They may be originals (non-restored) or antiques or test mules. We just think they are special. The Buckmister Fuller built in 1933 Dymaxion was unbelievable during its time. The depression kept it from going into full scale production but three were built. Only one remains other than this recent recreation by the Museum. 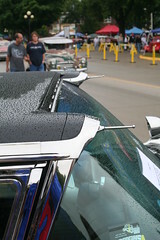 If you have never seen a 57/58 Mercury Turnpike Cruiser you need to see this one and keep your eyes open for one at the next show you go to. 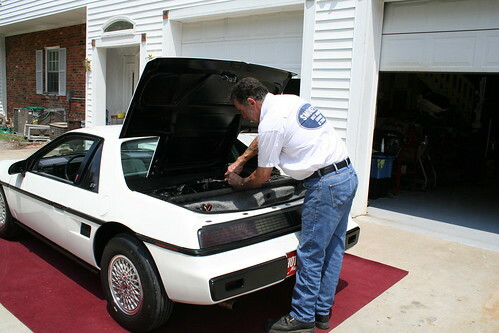 Click Here on small photo to see this Feature Car; Smokey Yunick Hot Vapor Fiero, Click here. One of our most infamous Feature Car is the very famous Smokey Yunick Hot Vapor Fiero. It may not be the most glamorous of the cars you have seen but if you are a you want to know all you can about the Smokey Yunick creation. It could change the way you race or the way you drive to work.